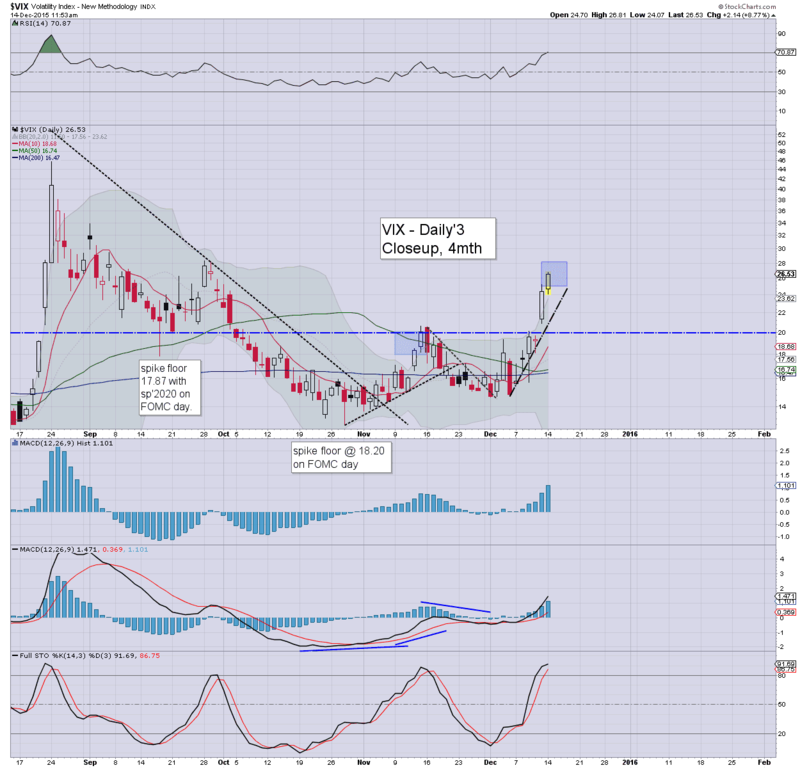 It was a mixed day in VIX land, with a morning peak of 26.81, but with a significant equity recovery into the close, the VIX cooled, settling -6.8% @ 22.73. 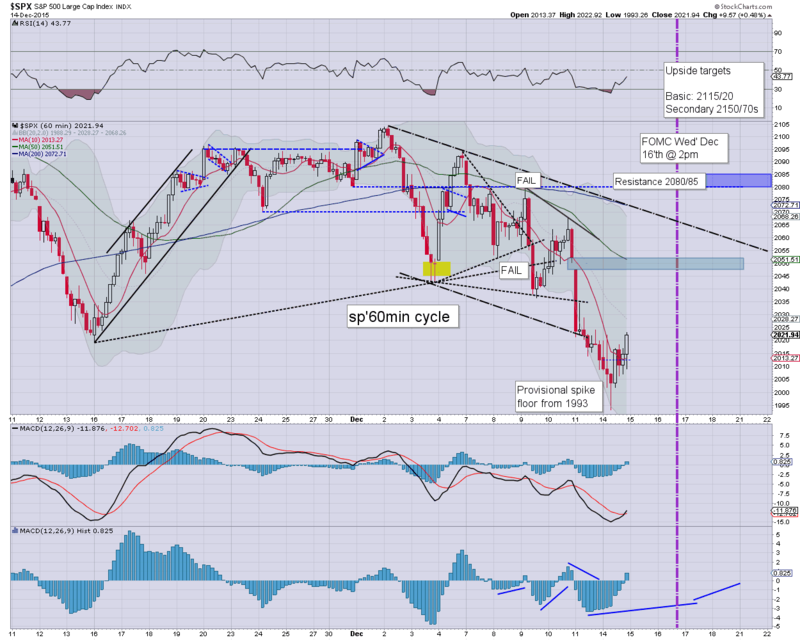 Near term outlook is for equities to begin a sustained rally post FOMC, with broader upside into early 2016. It is entirely possible (if not probable) that today saw a key VIX peak, with broad downside for the remainder of the year. 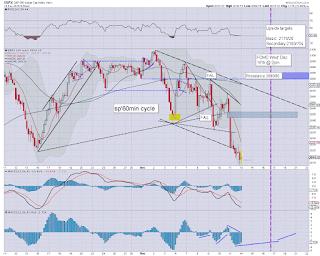 From a pure cyclical perspective, the MACD (blue bar histogram) is now on the high side. The setup favours the equity bulls... once the FOMC is out of the way. *closing hour action: a fair bit of chop.. but renewed upside into the close.. as no doubt a tranche of the bears decided to cash out. Note the bullish MACD cross in the closing hour, it bodes in favour of the bulls early Tuesday.. before further weak chop. So... sp'1993.. but then a late morning turn.... and rallying to the 2020s. Of course... with each passing hour... price action is likely to become more subdued ahead of the FOMC. What matters will be the Wed' close. 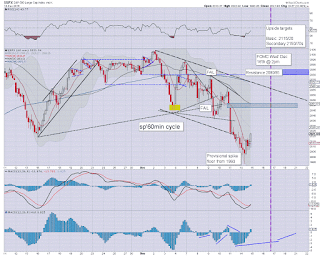 Unquestionably.. the set up favours the bulls... once we're past this latest Fed nonsense. 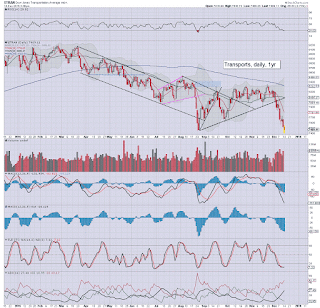 It is highly notable that whilst the market has seen a significant bounce from the morning low of sp'1993 to the 2010s.. the Transports did break below the Aug' low. 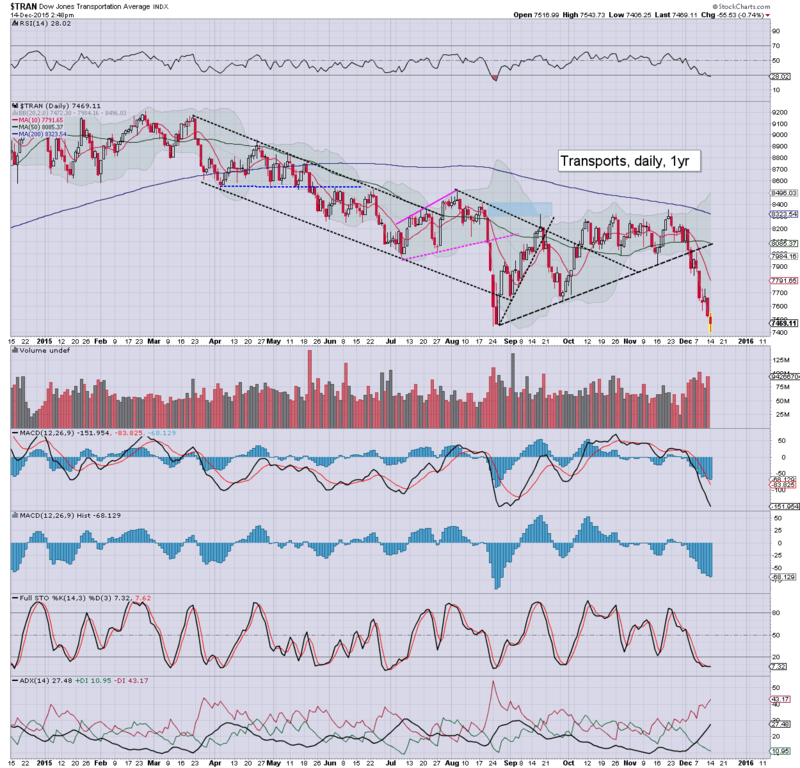 Since late November, the Trans has declined 11.4% to 7406.. the lowest level since April 2014. *most probably do not realise that the Trans' broke the Oct'2014 low (equiv' to sp'1820) in Aug'.. and we're decisively below that today. For now.. we have a provisional pre-FOMC low of sp'1993. I'm well aware of the gap zone around sp'1950... but that looks out of range until AFTER the FOMC.... and we should be rallying by then anyway. Is sp'1993 enough to spook the Fed not to raise rates? No. It might be enough to sway them to compromise though. Rates moves... now in tenths.. like the ECB ? A lame micro move of 0.1% would certainly be enough to cool the concerns of the mainstream. 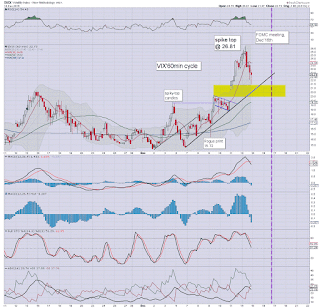 Whilst US equities continue to see some chop.. with the sp -3pts @ 2008, there is notable weakness in Gold, -$12 @ $1064. 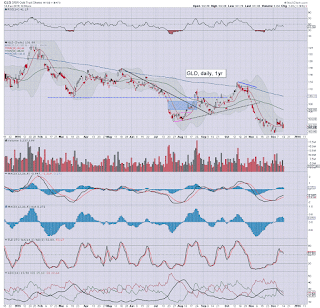 The recent $1045 low won't likely last.. as $1K looks an easy target. 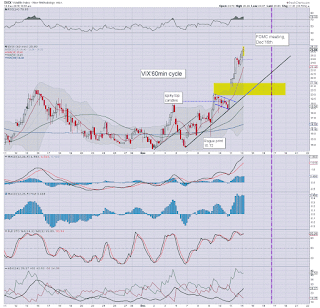 The related mining stocks are being naturally impacted, with the ETF of GDX -5.1%. Naturally, some of the Gold bugs will be floor calling today... but then.. they've been doing that for some four years. 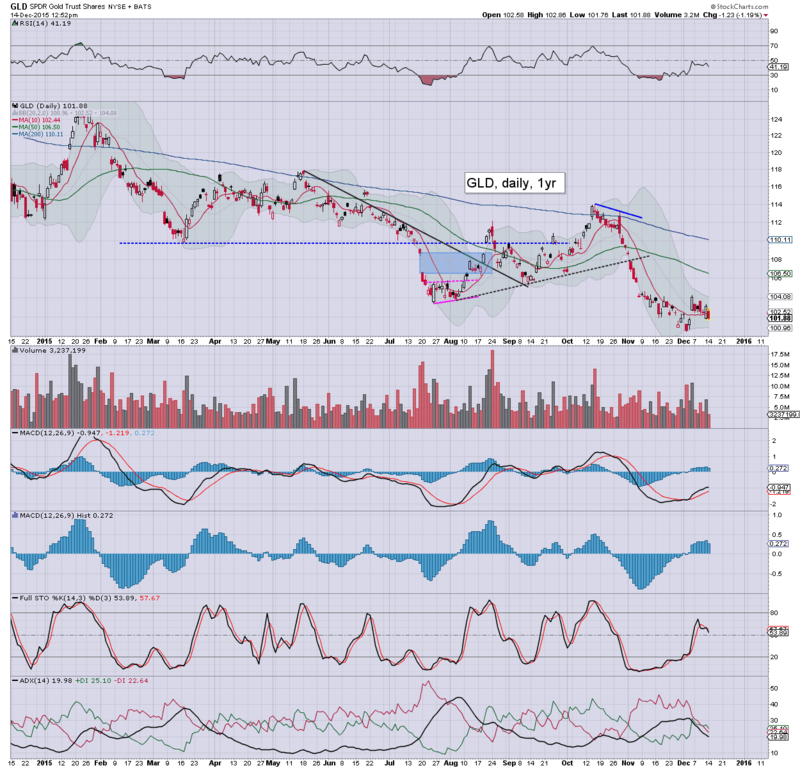 Gold/Silver both look set to lose another 15/20% within 3-9 months... if so... I'd merely double the percentage, to get a downside target for most of the miners. *I continue to be patient with the miners. For those that survive the current commodity collapse.. they will make for rather good buying levels... but that time is clearly not now. FB +0.5%... NFLX +0.4%... momo chasers are clearly out there today. US equities have seen a spike floor of sp'1993, with most indexes already turning fractionally (if briefly) positive. 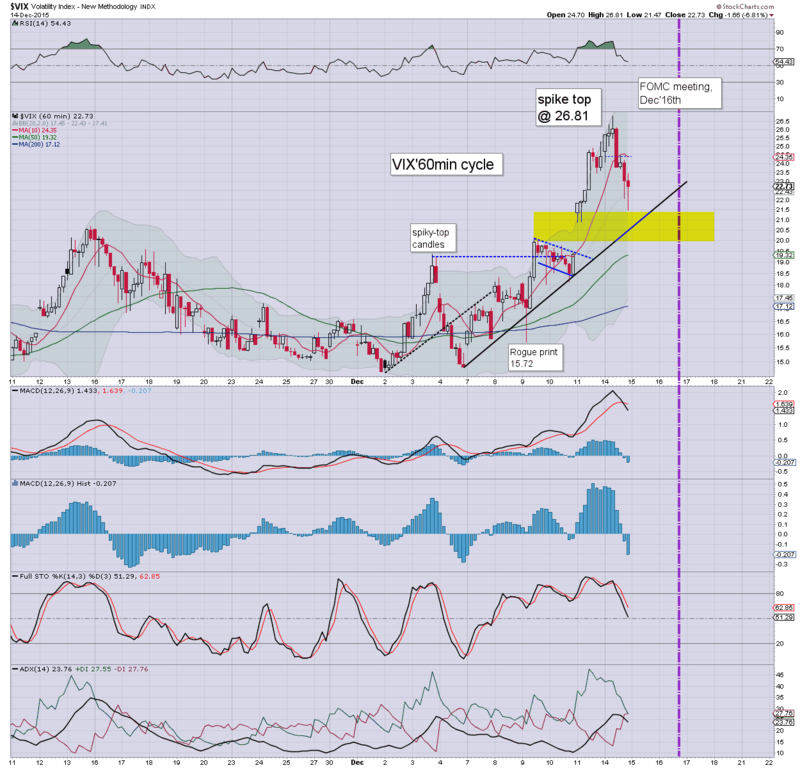 VIX has a viable key cycle high of 26.81... and looks vulnerable to closing red, but still above the key 20 threshold. 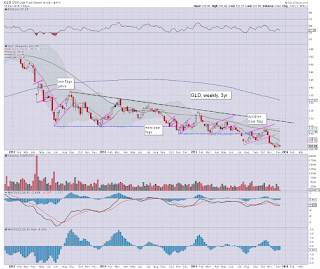 Metals are increasingly weak, Gold -$13, as higher rates will be bearish metals. 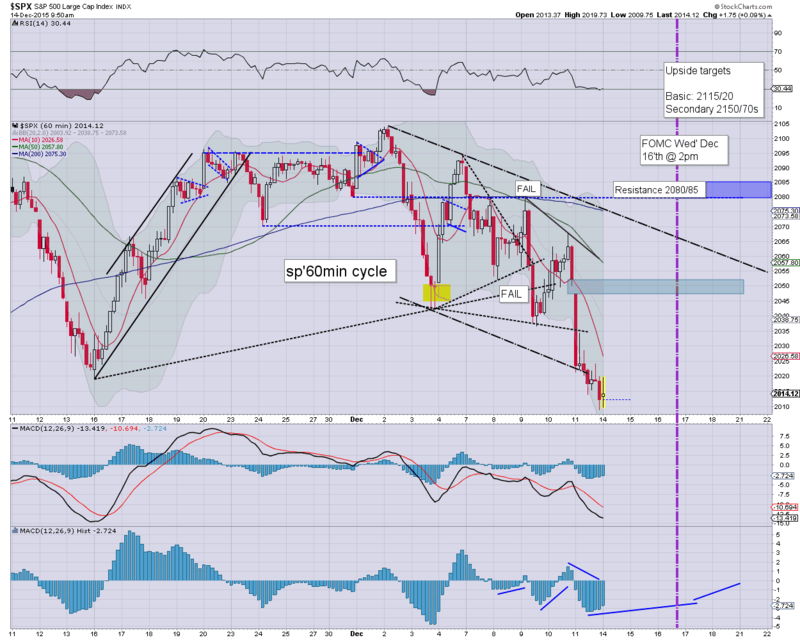 As for equities... the 1990s always seemed probable, as Mr Market will have wanted to wash out the sp' 2K stops. 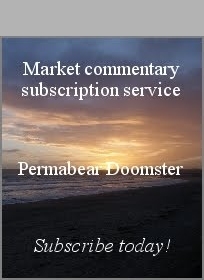 Now that is done... we have far better chance of the market stabilising ahead of the FOMC. 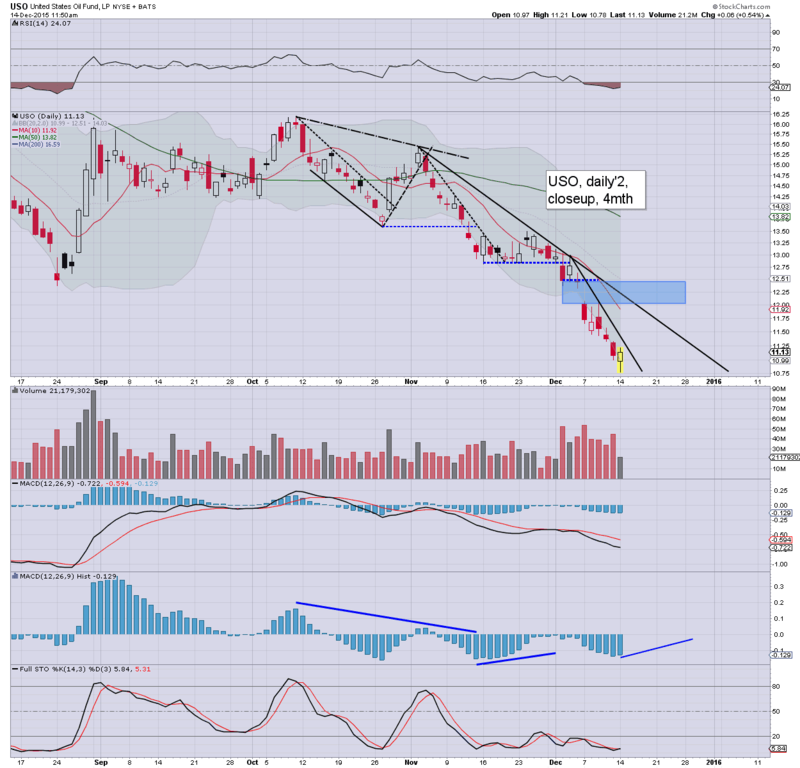 re: Oil is pushing for a spike floor... now +1.8%..
miners, ETF of GDX -5.1%.... outlook into end year ain't pretty. 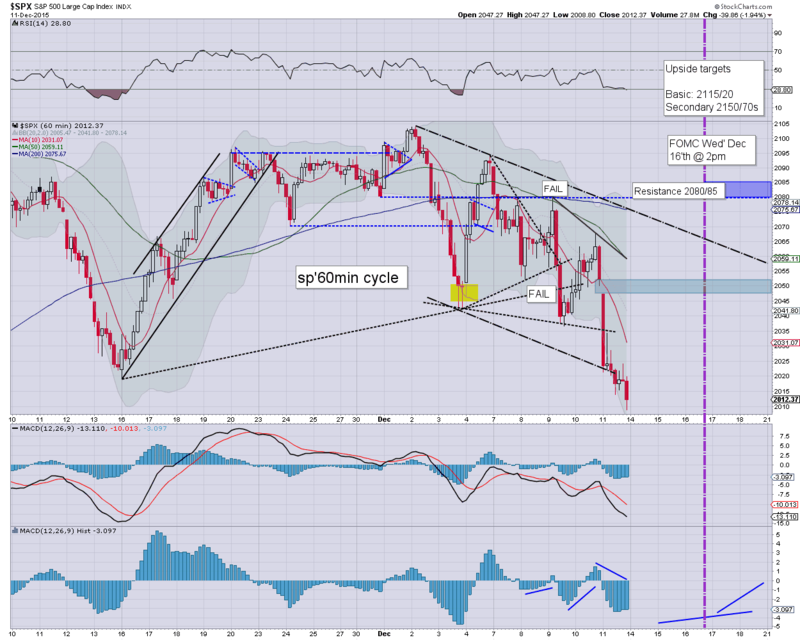 US equities continue to unravel... unable to hold the giant psy' level of sp'2K, with a new low of 1993. Despite the current weakness, a daily close <1990 still looks unlikely today... and this week. 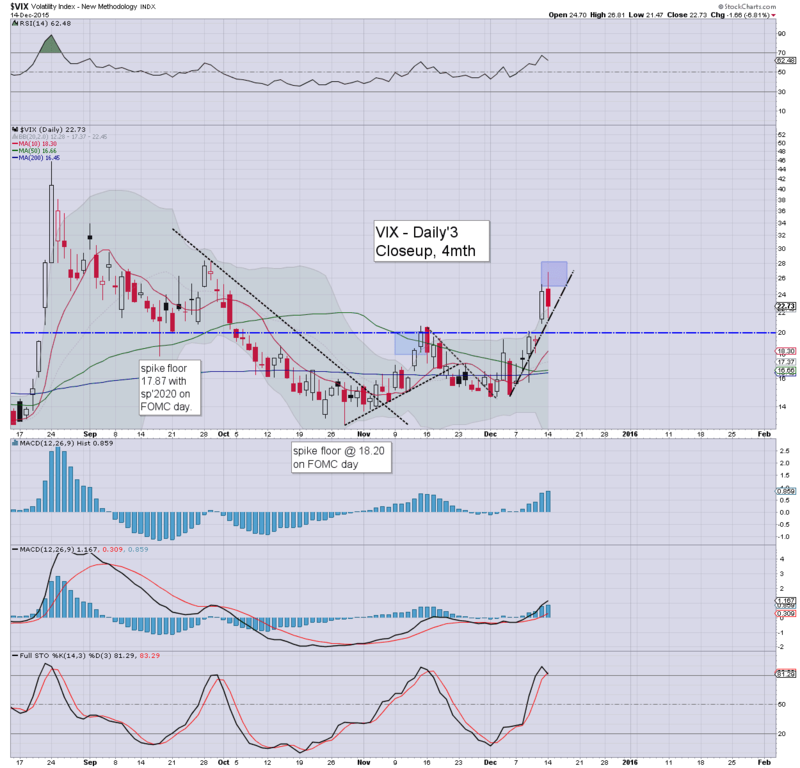 VIX has built gains of 8% in the 26s. Metals are weak, Gold -$8, with Silver -1.4%. Oil is very choppy, currently +0.7%. No doubt some of the ultra-doomer bears are getting rather excited right now. 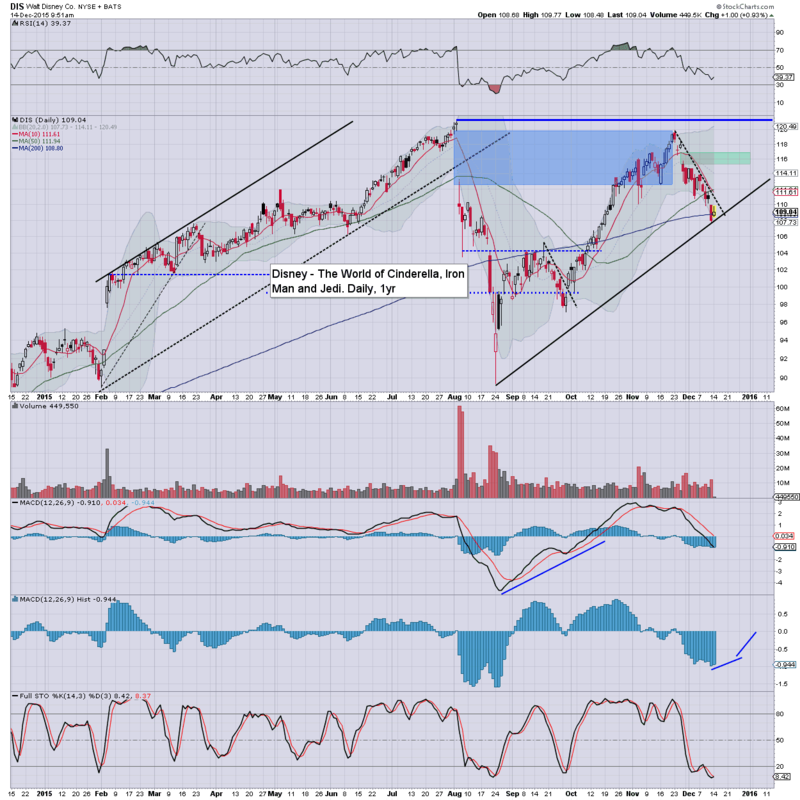 After all... the chatter continues about the QUAD-OPEX issue... we're going to crash right? This IS the end.. right? 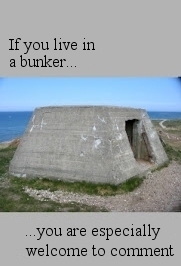 If that IS your thinking right now.. you're at the wrong site. 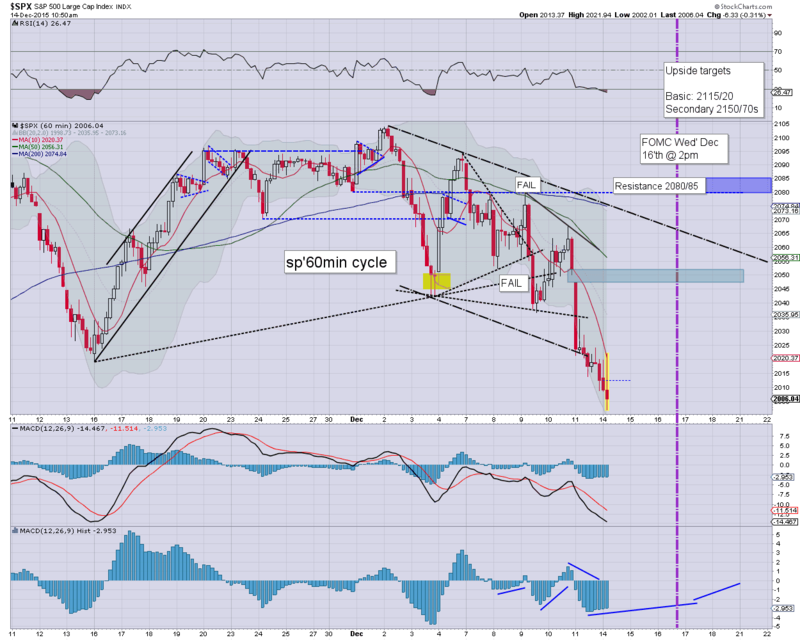 The current setup does NOT favour the equity bears once the FOMC is out of the way. 12,28pm.. A sig' swing from 1992 to 2012.... indexes green... and we have a pretty solid floor now. US equities are seeing some rather significant swings, having cooled from a high of sp'2021 to 2002. Considering the current mainstream mood, further weakness into the 1990s looks probable... whether tomorrow or Wednesday. VIX is naturally pushing upward, +5% in the 25s. sp'2002 is very likely the low of today. Broadly though... there is ZERO reason to expect the market to pick a firm direction until after the FOMC announcement... along with the press conf' itself. Where we close Wednesday afternoon, will be infinitely more important than anything before then. 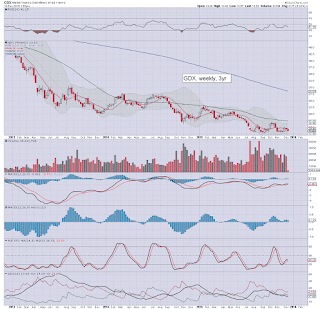 GDX -2.7%.. as metals/commodities remain broadly weak. Certainly.. matching the market mood. Urghh. 11.14am.. new intra low of sp'1999.. with VIX 26s. US equities open with some rather strong chop. There remains high threat that Mr Market will want to wash out the sp'2K stops before forming a key floor ahead of Wed' afternoon. 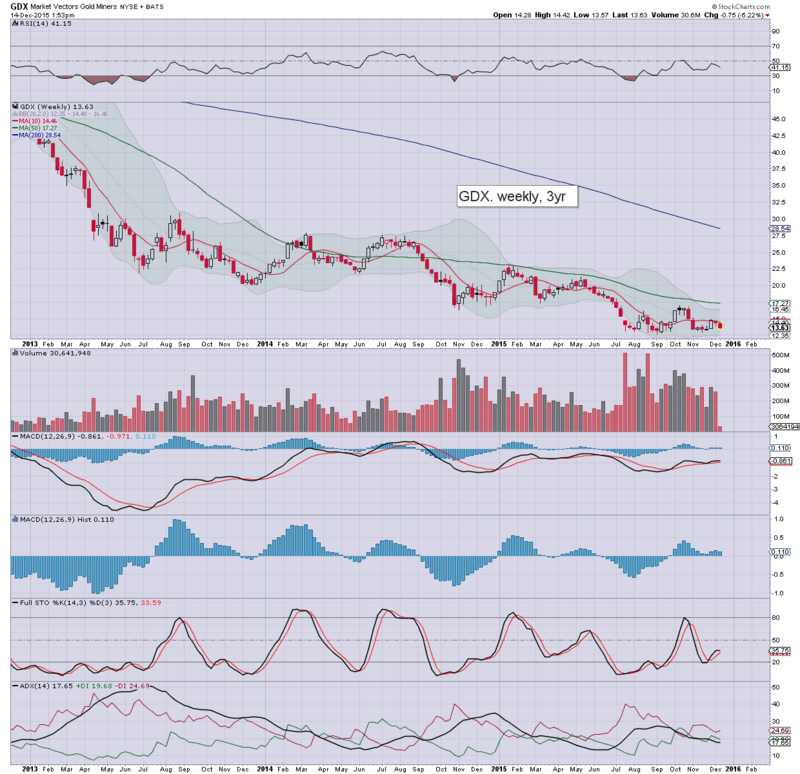 Metals remain moderately weak, Gold -$5. Oil is -1.1%, having broken a new multi-year low of $34.53. A fair few moderate swings should be expected between now and Wed' afternoon. 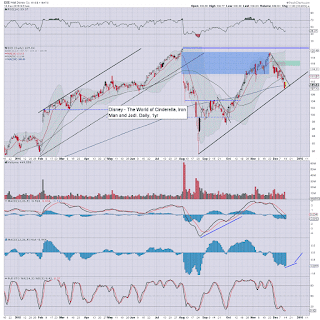 All things considered, a brief foray under sp'2K looks likely.. before the market has opportunity to launch on a crazy 'relief ramp'.. after the Fed. *to be clear, unlike some out there (not least the maniacs on Zerohedge)... I do not expect a market collapse in the near term. As Star Wars VII is set to be released later this week. 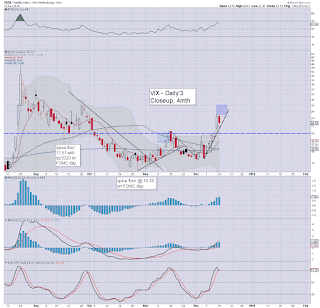 10.30am.. sp' 2003..... VIX 26s.. we're getting real close to what will likely be a key floor. Considering a typical turn/floor is around 11am.... equity bears should be kinda careful right now. Good morning. US equity futures have swung from an overnight high (+19pts @ 2031), and are currently -6pts, we're set to open around 2006. 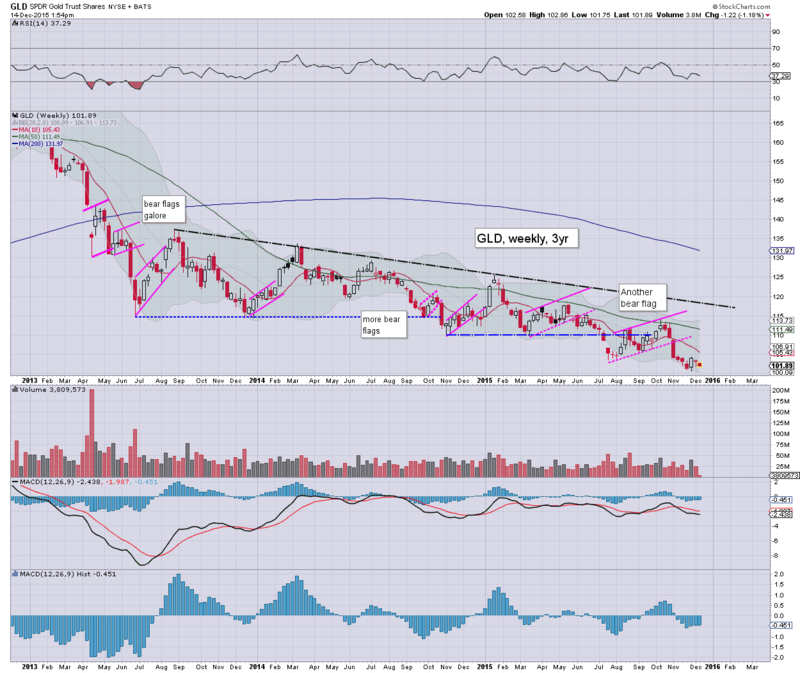 Metals are broadly weak, Gold -$9, with Silver -1.8%. Oil continues to implode, -2.4% in the $34s. 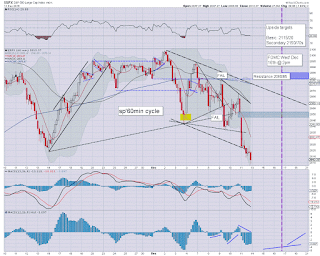 Not surprisingly, we're set to open somewhat lower, as the market is increasingly unstable ahead of the FOMC meeting. All things considered, we should get stuck in the 2000/1990 zone today.. and hold it across Tue/Wed. 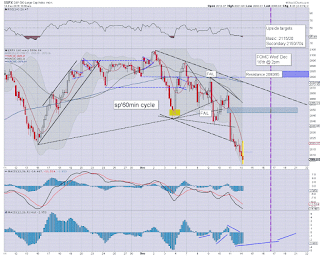 From there.... a weekly QUAD-OPEX close in the 2050s would be most natural. Best bullish case would be 2080/85... which is around 4% higher. 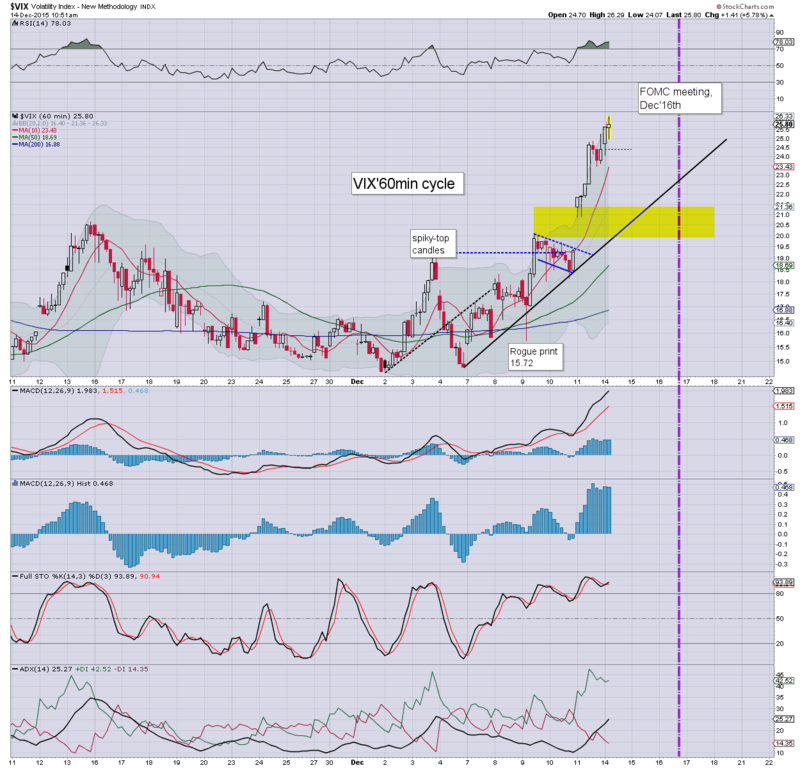 China: 2.5% @ 3520... solid gains built into the close.